We find the romantic form in comedies about unlikely pairs; we find the tragic form in historical melodramas. We find it at any moment of the day on the Hallmark Channel and inexplicably tacked onto horror movies, action movies and the occasional robot cartoon. Good depictions of romantic love are nevertheless elusive. Good depictions of platonic love – love between friends, especially – are even more so. So for the second year in a row, we take a look at some of the best, most fun, most memorable and loving relationships between fictional characters. There are those friends you grow up with. They knew you best when you were still trying to figure you out. Sometimes we outgrow those dynamics, and other times we grow together with our friends. And then sometimes both we and our close friends could use a dose of growing up together. In the very-much-missed action comedy series Chuck, Morgan Grimes started out as the titular Chuck’s anchor – both in giving him some stability after getting kicked out of college and then ultimately a weight that kept him stagnant in a dead-end job. When top-secret government tech turns Chuck into a super spy, Morgan is along for the ride like a good sidekick. But over the course of five seasons, he stops being just a quippy man-child and grows along with the other characters. The most relatable part of the Chuck/Morgan friendship is how accurately their shared sci-fi, fantasy and comic books fandom is depicted. It’s easy to believe in a friendship when the conversations feel real and organic – the same kinds of references and arguments geek friends have in the real world. Unlike some more successful shows that started the same year. These are real geek pals. When the buzz started swirling about Broad City, my interest was definitely piqued. And even though I originally thought it was a sketch show, the clips I saw still looked more than funny enough to give it a try. However, after watching about 10 minutes of the first episode, I wrote it off as just another self-indulgent take on young Jewish white women in New York and their Millennial plight. Not for me. I went upstairs to play video games. My wife, however, kept on watching. After 10, 30, … 90 minutes, I kept hearing little bits from downstairs: funny conversations, manic rants and misadventures. I was getting TV FOMO just from what made its way to my ears. So I came back to the show, and it didn’t take more than a minute to understand what makes it so good and so hilarious. Abby and Ilana are both so wonderful and so brilliantly inept at the same time. In a world where there are dozens of shows about awful people during hilariously awful things, what makes Broad City stand out is the perfect, (almost completely) platonic love between the two. Watching two awful people be awful to each other can get old quickly. But watching two friends stumble hilariously through life while loving each other unconditionally, that’s something special. They are fanatical friends. And I’m learning all kinds of things I never really knew or understood about women and their friendships. Thinking it wasn’t for me was ridiculously narrow. It’s a show that scares me and surprises me and brings me joy all at once. the same time reminds me of my own friends and the slightly less terrible things we have done and experienced. I talked about the friendship between Jess and CeCe on New Girl last year, so I really didn’t expect to come back to talking about New Girl again. But somehow I managed to forget the friendship between Winston and CeCe, (played to I-want-to-be-your-best-friend perfection by Hannah Simone, who’s also about to be the lead in the Greatest American Hero reboot). 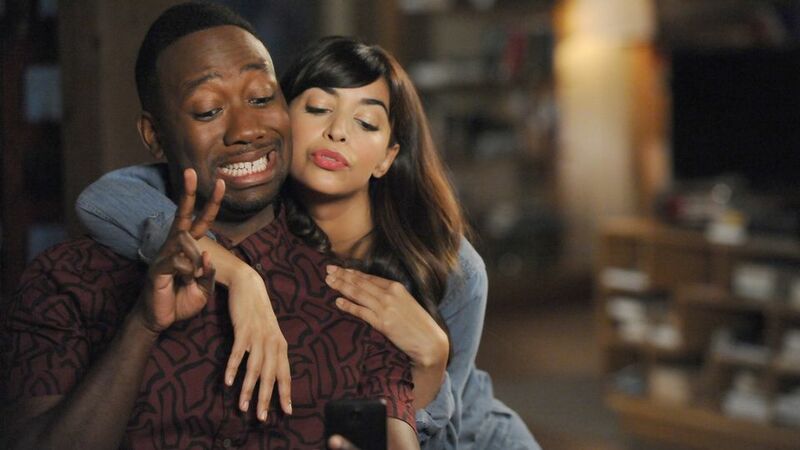 Winston (Lamorne Morris) in the last couple seasons has taken the quirky/adorkable torch from Zooey Deschanel‘s Jessica Day. His strange relationship with his cat, his strange hobbies and phobias and overall oddball behavior seemed to come out of nowhere around the third season. Thankfully, what kept him grounded was the developing friendship between him and CeCe. Both characters have spent many seasons being unsure of their goals and have experienced their shares of heartache. But where their confidence soars is when they are observing, commenting and yes, even judging the other members of the house. And all of a sudden it’s a hilarious thing to witness them communicate through shard glances and half-sentences and nobody but us really gets to understand them. Who isn’t down for a Winston and Cece mess around? Pete: This was a tough one, because the X-Men franchise, in addition to being inconsistent in general, is kind of all over the place when it comes to Charles and Logan and their relationship. In Logan, the rest of their generation of mutants are all but gone. And there’s guilt that weighs on these two survivors. To finally have it be just them was something I didn’t know I’d been waiting for. This finale to their relationship was poignant and painful. Steph: The love was definitely there. They were the ultimate ride or die; nobody could understand them like they could each other. Logan is his caretaker and Charles is grateful for that. We know that Logan could have abandoned him – run off with the money, or even abandoned Laura. He didn’t. You could say it’s loyalty, but I think it’s love. That’s one thing that makes love more than just liking or friendship, they don’t always like each other or agree with each other. There was anger and bitterness – a lot of pain from being essentially the last two remaining, but they understand each other in a way that nobody who’s alive can. In the five-season long Sci-fi series Fringe, Dr. Walter Bishop (John Noble), the archetypal mad scientist has complicated and difficult relationships with everyone, his former test subject – turned collaborator Olivia, his son from an alternate, Peter … But it’s junior FBI agent Astrid (Jasika Nicole) who he connects to in ways no one else can. Belle: Walter Bishop is a man of many, many faults. Astrid Farnsworth is a woman of many, many skills. When he’s at his most whimsical and destructive she balances him out with practicality and common sense. When she’s her most analytical and focused he reminds her that, well…everyone poops. Together they make a wonderful pair and show that friendship knows no age limit as long as mutual respect and a willingness to listen are there. While Nate and Sophie were undoubtedly the parents of the crew, the heart and soul of the show was the friendship between these three. Whether it’s Eliot helping Hardison grow up and Parker to open up; Hardison and Parker teaching Eliot that no matter how dark your past there’s always a chance to be better if you truly want to; or Parker helping them to enjoy life and not let anyone (even themselves) put them in a box of who they can or should be they are the ultimate family of choice and there’s no denying that they truly completed each other. Happy Valentine’s Day! Whether celebrating alone, on an ill-advised date, or with those you love (pets count!). 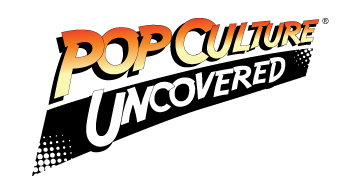 Tell us some of your favorite platonic love fests from Pop Culture, we always love to hear our readers ideas and feedback! I would add Gus and Shawn from Psych to this list. Oh yes! Check out last year’s list. Link is in the post.